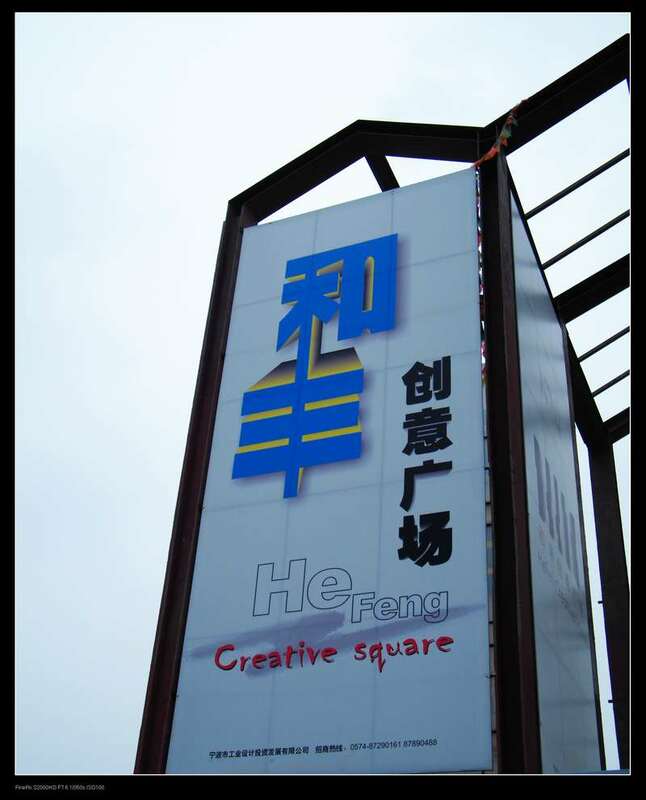 Hefeng Creative Square is transformed from Hefeng Cotton Mill. This Cotton Mill has 100 years history in Ningbo. The whole project is expected to be finished by 2011. However, the experience park is already open to the outside. And it is attracted to some companies both at home and abroad.Such as INDES, Yefei Culture, Ningbo Design Center and so on. 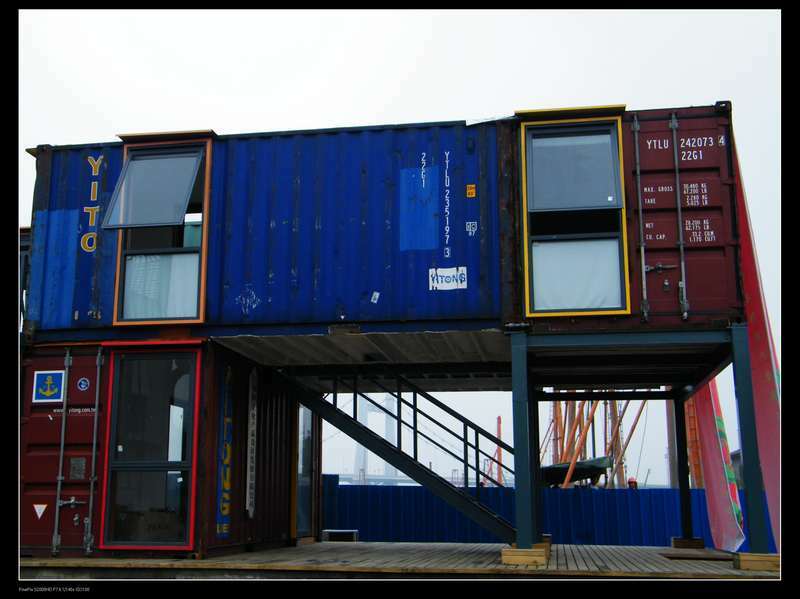 Some working places are located in such “container”. And some studios were moved into the old house. Essay Title: What do the features of spatial clustering mean? Evaluating with references such as Van and Keane to discuss the situation of creative industry in Ningbo and how Ningbo’s clusters connect with urban development. Generally speaking, cluster phenomenon is a universal law in creative industry. It is normally depending on urban function and conveniences of the city. On one hand, city provides perfect infrastructure, cultural and entertainment facilities to enhance creative industry. Relying on these facilities city can create keen culture features to creative class, whom have received more opportunities both on career and residential environment. On the other hand, city could be more attractive and competitive depending on creative industry. Van (2009) also seems to prove this; he says that developing the creative industry cluster is the tendency to reinforce capital accumulation. It is the only way to raise urban competitive power. Scott (2000) shows that when some similar firms or companies aggregate together, they could take advantage from each others. Historically, Ningbo is a city with 7000 year history. It has been an important seaport for foreign trade as starting point in the Silk Road of Tang Dynasty. After the Opium War, Ningbo port has been regarded as one of the trading port once again. At present, Ningbo as a developed second tier cities in China, it has been received more attention from Chinese government (on political).In addition it is also the group under The Cultural and Historic Planning which is organized by Chinese Ministry of Culture (on economics) because of its long history (Ningbo Overviews 2008). According to Wang (2009), in spite of economic crisis around world, GDP in Ningbo raised over the first quarter of 2009. Among this statistics, the primary industry has increased about 1.9%, the secondary industry has decreased nearly 3.7%.However, the tertiary industry rises 7.2% compared to same month last year in the Ningbo Daily (23 April 2009,p.1). It’s seems indicated that creative industry in Ningbo have started to play an important role due to creative industry could assume as part of tertiary industry. Normally, the definition of creative industry is regard as intellectual property such as music, design, book and game etc. 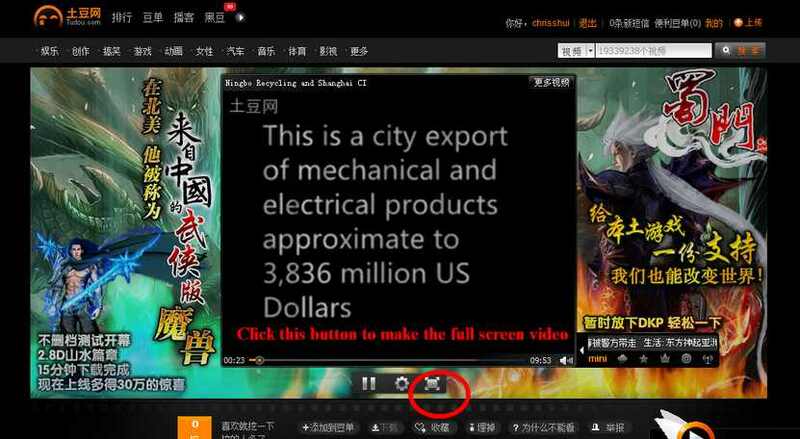 In addition, several creative services also could belong to creative industries which contain advertising, public relationship and so on (DCMS 2001).However, Che (2009) (video)who is the director of Ningbo Creative Industry Association holds different opinion. He says that, in Ningbo, the definition of creative industry should narrow down because of the status of Ningbo creative industry at the moment. He says, creative industry in Ningbo could be part of cultural industries and serve the Ningbo manufacturing industry. In addition, at present, Ningbo creative industry can shape up as creative industry business incubator due to the long history of go into business in Ningbo. 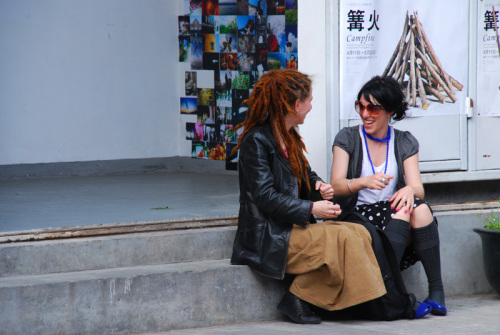 It is quite different from the creative industry in Beijing today (Che 2009). In Beijing, creative industry seems to stand for anything, because the definition of creative industry in Beijing is expanding a lot. Usually, it connects with politics because the Beijing is the central of politic in China. Spatial clustering of creative industries also has been highlighted during these days. It is a term from geographic sector. Nowadays, people use this term to explain that huge amounts of related enterprises, studios and organizers gather together for gaining greater competitive power. This essay divided into three parts. Firstly, characteristic of creative industry in Ningbo will be examined by using Keane’s and Van’s references etc. In addition, some cluster of creative talents in Ningbo will be discoursed. Finally, it will state some weakness and measures of creative industry in Ningbo. In 2000，Ningbo government put forward a proposal named Sanjiang Culture Corridor, which included Ningbo Grand Theatre, Ningbo Concert Hall, Ningbo Museum, Ningbo Art Gallery and Ningbo Book City. At the same time, Ningbo invested nearly several millions to develop the program; and this was the first time Ningbo Government invest such huge amounts money in culture field (Cai&Guo 2008). 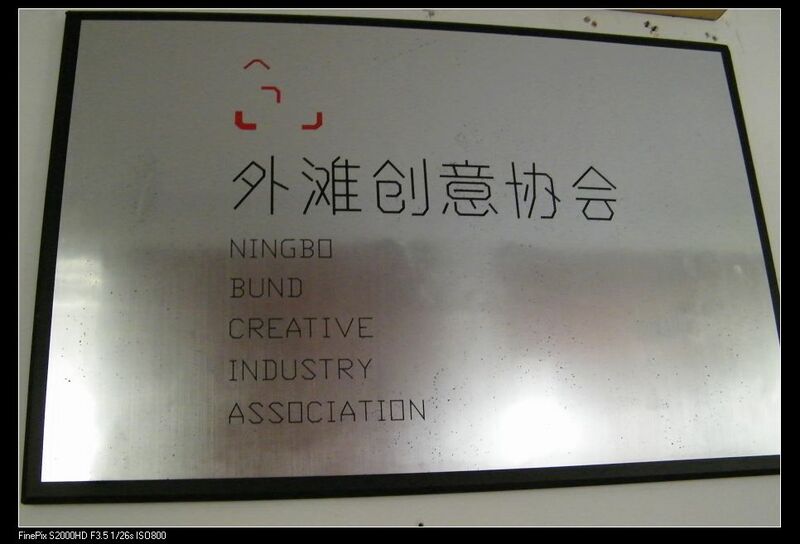 Since 2006, Ningbo government has started to concern on creative industry (Chen 2009). It is worth notice that the Eleventh Five Year Plan from central government has promoted Ningbo government decision. This Plan points out that, Chinese government should encourage developed cities and cities with talents on creative to expand their creative industry in the range of culture, science, technology, film production, music production, fashion design, animation, games etc. Simultaneously, integrate creative contents into the traditional business. That is to say, China wants to anticipate creative industry to stimulate their service industry and manufacturing sectors. Ningbo is one of such kind of cities that exactly adapts these conditions. 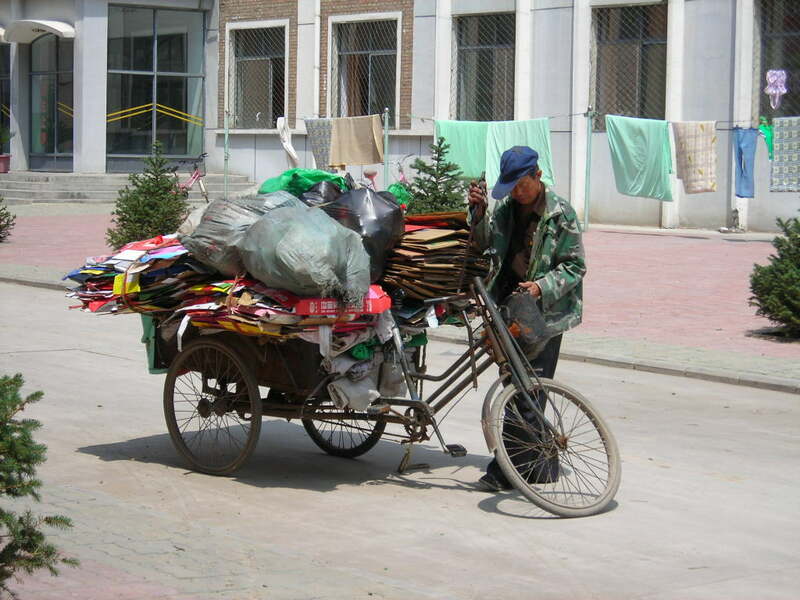 In 2006, Ningbo government announced a series of policies and plans. Some governmental reports from Ningbo government show that developing creative industry is urgent. Firstly, the old districts in Ningbo are unable to mark out or develop the traditional industry because of the shortage of land resources. Secondly, manufacture and foreign trade are the leading industry; if this city wants to achieve bigger competitive power they need change (Cai&Guo 2008). Wang (2006) suggests that the manufacturing advantage is lost in China gradually; people need to look for the new growth point to go ahead. And creative industry could provide with innovation and Ningbo brand. Keane (2009) seems to support this point; he says that recently under the powerful support of Chinese government, the cities may take advantage of creative industry. Some ‘value-added’ phenomena happened on renewal of traditional resources, redesign of urban space and the most crucial one is wealth creation. For example, in Ningbo, the stationery industry accounts for 70% with the number of 4000. The output value is about 50 billion RMB (Zhou 2008).However, there are nearly 80% companies are OEM. It is not a good phenomenon to develop one city. In 2003, one of stationery companies in Ningbo was named Deli Group (Their annual sales were just 300 million before 2003). Until 2004, they decided to changes from their packing design and ask for help from an industry design company in Shanghai. After five years, their sales has increased about 5 times even under attack of economic crisis their annual sales still exceed 1500 millions. It is illustrative that creative industry makes benefit to the company hugely. This also makes Ningbo government to think over the term of creative industry. On the other hand, awareness of creative industry among the public also has been raised. For example in Ningbo, Zhoushan is a city on the island, besides the islands that residents lived; they also wish to rent rest of islands as creative industry park (Bao 2009). It is an idea which people would never concerned before, until Ningbo government treasure this issue lately. One thing which should be highlighted is that, Ningbo needs to develop these creative clusters depending on the city creative potential and advantage. Lorenzen& Frederiksen (2007) also seems to support this point, he says, economic potential should be concerned when deciding to develop creative cluster. According to Hu (2009), small scale manufactures in Ningbo has developed very well. However, the reality is that their ability is limited due to the lack of industrial design skill. Therefore, in such situation, design studios in the creative clusters will definitely have closed relationship or location with these enterprises. In other words, small scale manufactures could benefit from design and their products appearance will be showed in creative industry park. In the end, products will get great demand. On the other hand, design studio also could demonstrate their strength and gain money through these design. Up to May 2009, according to Ningbo Daily (25 May 2009, p.1), Ningbo government is planning to construct at least 10 creative industry parks around the Ningbo city; each district will have at least one creative industry park. At present, most of creative industry park are not completed yet. However, it can still be proved that, the rudimentary creative industry clusters are turning up now in Ningbo. Another important phenomenon of creative industry park in Ningbo is that creative cluster is totally different from cluster in UK and Germany. In Ningbo, artists and studios get together under governmental policy but UK and German assembled by them voluntary (Van 2009). In addition,Van also uses Maskell(2001) notes to analyze cluster and development in creative cluster, the one is that some firms are willing to relocate or partly relocate into cluster for potential customers in such area. 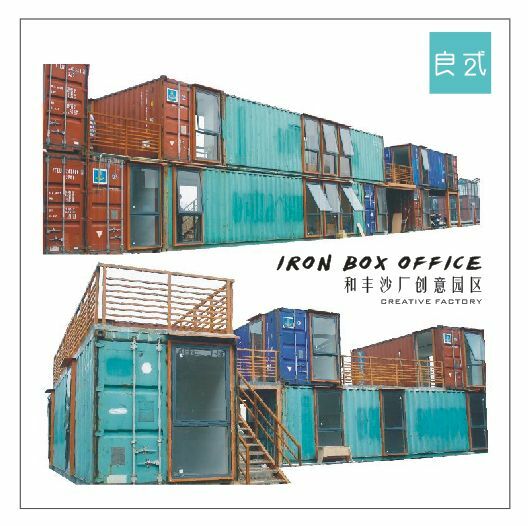 In China, it can be seen, creative industry park functions the exact same as overseas parks. Therefore, whether this cluster phenomenon is arranged by government or not, the effects and benefits could still been forecast. For example, according to Guangming Daily one of the architectural design relocated into Loft 8 achieved 29 million yuan business volume until 2009 April (30 May 2009,p.3). Van (2009) says, the functions from creative clusters are concentrating on real estate markets. In the other words, creative industry clusters are used to flourish this market. Additionally, Keane (2009) also divides creative clusters into three modes in China based on landed estate. The first mode is the most common pattern around the word. That is to preserve the old factory (Keane 2009). Sometimes it is to help the bankrupted firms and sometime is just for protecting some heritage buildings. To some extent, it has not only retained historical building, but also stimulated the imagination of artists. Loft 8 in Ningbo is the vivid case to present this. Loft 8 was Ningbo Fangxiang Factory before. 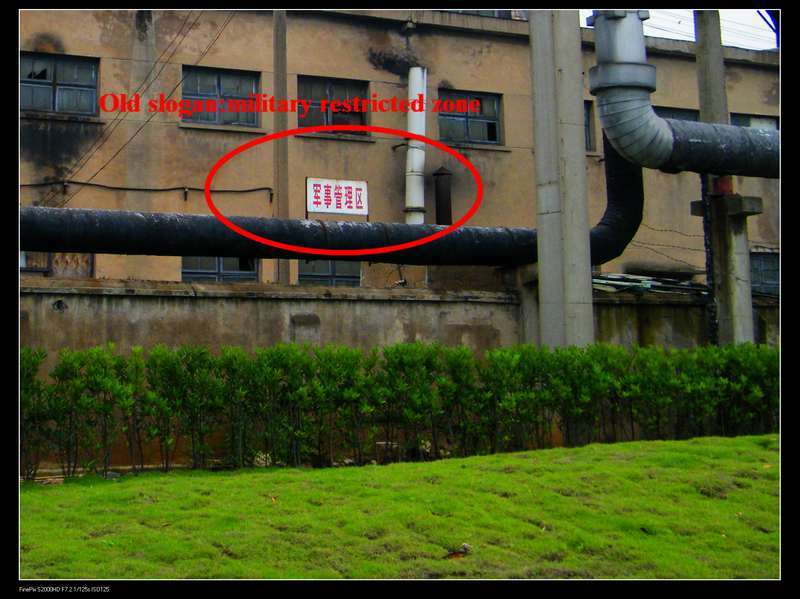 In 2006, this factory had been shut down; at the same time it became an enormous antique in Ningbo. For this reason, Ningbo government has decided to reform this place into creative industry park. 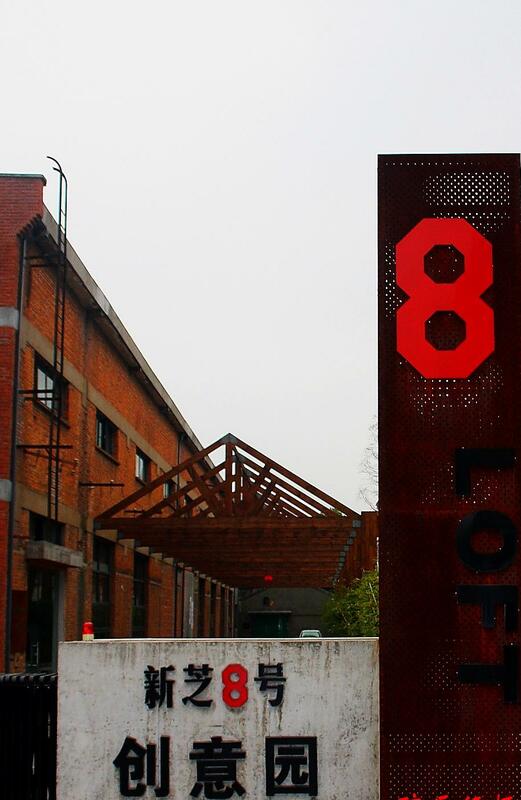 One thing should be noticed is that Loft 8 is the first Loft form creative industry park in Ningbo (Cao&Ding 2008). Due to this, it is the first times for Ningbo to establish a creative industry park, and real estate developer of Loft 8 creates some fun. Take an example, as Fangxing Factory was constructed in 1950s, there have been many slogans on the wall of this old factory. The most representative are VIVA, Chairman Mao etc, from Culture Revolution. Developer assumed these slogans are totally useless, therefore they ask for workers to whitewash them. However, the consumers think, these slogans should be keeping back to memorize this history and could highlight studios style. Finally, Loft 8 real estate developer has to flush these covering slogans by using high pressure gun. The manager said they want pay out good-hearted but inept efforts to help. Another similar case in Ningbo includes 238 Creative Park and Sanchang Fasion Creative Block etc. They both transformed from old factories. From the point of view of Keane (2009), through the operation by real estate developers, creative cluster has embodied their real value in well organized on old buildings and city planning. It could be concluded that on one hand, transforming the old building could relieve the financial pressure from government; on the other hand, it also improves regional economic benefit. The second mode is the creative industry parks which are constructed with completely new (Keane (2009). Generally, it is driven by government policy in China. This mode is also extremely wide spreading in Ningbo. Take 128 Innovation Valley for example. Government wants to draw on the experience from Boston Route 128 (Actually, I don’t think Boston Route 128 is a good name and experience for this innovation valley, because Boston Route 128 was downfall many years).This innovation valley is funded by an Australian company nearly thirty million dollars. Nowadays the first stage construction of 128 Innovation Valley has been finished and 27 enterprises have moved into this innovation valley. Some Ningbo News reports that the 128 Innovation Valley will be a base for creative industry, industrial design and technology incubator. The last cluster mode is that some creative industry parks close to the university (Keane 2009). That is also the reason why the central of software industry is in the Ningbo Zhenhai district. Plenty of universities are located there such as Ningbo University, Ningbo Engineering Institute and Ningbo Textile Engineering Institute. Zhenhai district owns the biggest software base named Innovation Valley . The last cluster mode is that some creative industry parks close to the university (Keane 2009). That is also the reason why the central of software industry is in the Ningbo Zhenhai district. Plenty of universities are located there such as Ningbo University, Ningbo Engineering Institute and Ningbo Textile Engineering Institute. Zhenhai district owns the biggest software base named Innovation Valley. According to Ningbo government’s work report, the first-stage construction of Innovation Valley includes three sectors. They are Science Tour, East China Software Outsourcing Service Base and Innovation Valley Research and Development Building. The second phase of the project consists of Software Department of Peking University Ningbo Branch and Northern Europe Industry Park etc. Until now, some international enterprises have entered into this park, such as Det Norske Veritas and IQSS etc. Government report also illustrates that the cluster effects were revealed obviously in 2008.Innovation Valley has achieved output value about RMB 14.17 billion because of the cluster management. Furthermore, it is clearly that Ningbo government pays huge attention to industrial design and software. At present, they also exploit animation industry in Beilun district under the government’s support to industrial design and soft ware. 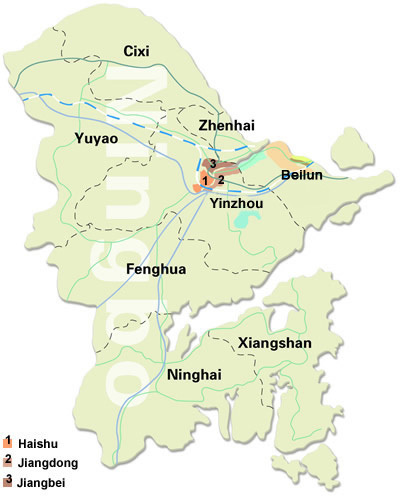 As is known to all that Beilun is one of the important harbours in the world. However, it seems that this district is short of economic growth mode except of this port. Ningbo Vocational and Technical College in Beilun district has started to corporate with famous companies and Shanghai Animation Film Studio to develop animation industry and already get great achievements. Ningbo Daily states that the profits from animation outsourcing service reached to the 900 million yuan until 2009 April (2 May 2009 p.4). Besides these three types, one thing should be noticed is that, normally, most of creative clusters not only include studio but also include some service companies’ service for the exhibitions and business transactions from artists themselves (Maskell 2001). For example, in Loft 8, studio named No Space is such a company concentrating on both design and exhibition. Yao (2009) says they put up a perfect bridge between artists and art collectors. They try to use their professional knowledge to help provider and customer. Furthermore, urban development enchased the floating of capital, talents and technologies. Those essential factors finally shaped spatial aggregation and made greater benefits. However, one of the most important elements in creative industry is the creative talents. Demand of creative industry can meet only if the talents gather. Meanwhile, creative talents can be regarded as human capital and also can be explained in cluster (Florida 2008). There are lots of evidences of the advantages of talent agglomeration. As Keane (2008) maintains that talent element plays an important role in creative industry. Ningbo as a second tier city; it should form more activities to attracted professionals. Recently, they try to use higher salary than other big cities in China to attract talents from the world. According to the report from Ningbo Administration of Industry and Commerce. Ningbo has taken part in huge of exhibitions such as China Creative Industry Exhibition etc to promote themselves frequently. On the other hand, Ningbo holds Creative Industry Design Exhibition to raise their prestige. Another approach used by Ningbo government is to training the talents rely on their education system or ask for help from advanced company or nations. At the moment, they decided to anticipate some companies to give technical staff a number of professional trainings to enhancing their knowledge. Until now, they carried out trainings for 4 times for 400 trained staff. 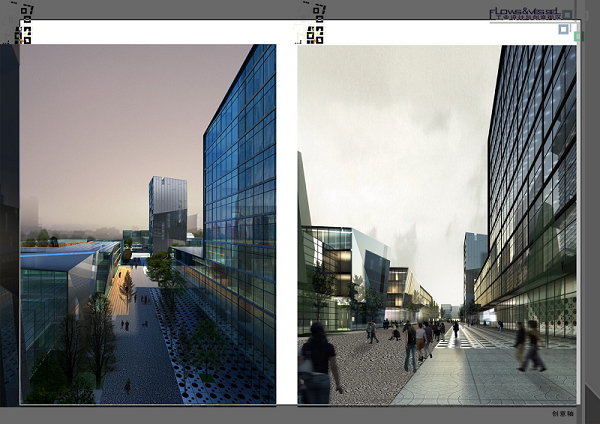 (Develop Jiangdong district creative economy 2009). Take example, one of animation companies in Ningbo has signed a contract with Korea Sogang University which provides advanced animation skill to train staff from Ningbo Company’s animation technology (Shen 2007). In addition, Chinese Film Branch at Ningbo Beilun district also sets up a CG College to educate more people move towards animation field (Beilun Development and Reform Bureau 2009). On the other hand, in order to cultivate creative industry talents, some professional educational institutions have provided plenty of majors and course to perfect this industry in Ningbo. For example, Ningbo Institute of Technology-Zhejiang University has established culture and creative industry major. 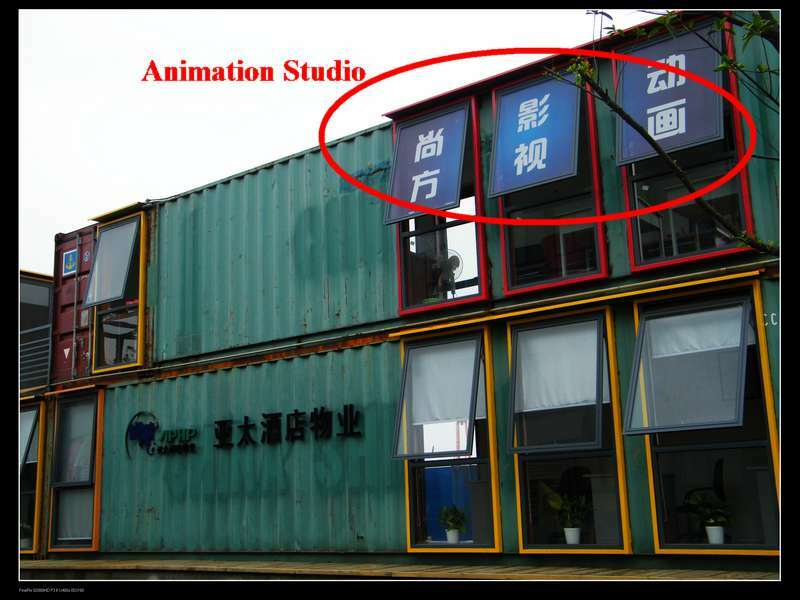 Software Department of Ningbo Dahongying University has opened animation course and corporated with some creative industry parks as well (Yan 2009). Ningbo Engineering Institute starts to enhance the industry design relying on their professional knowledge. 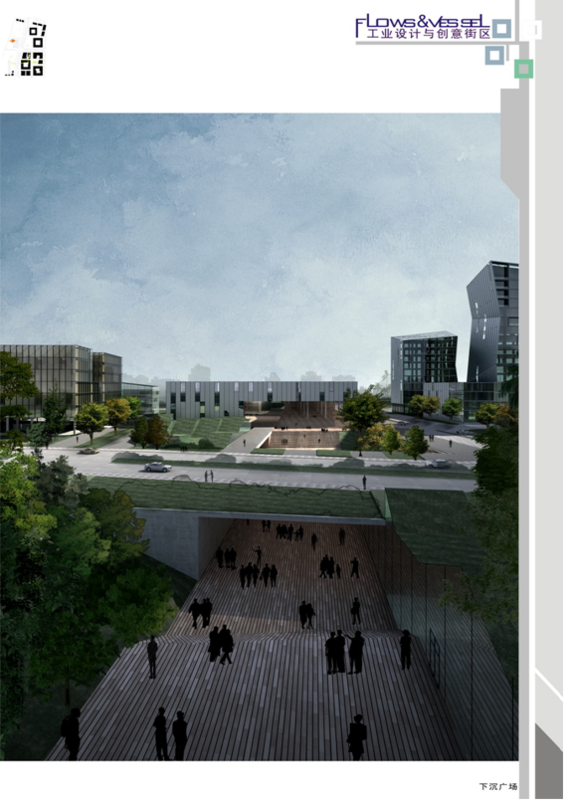 As the present situation of creative cluster in Ningbo, Nie&Wang (2008) analyze four aspects of problems that exist in Ningbo creative industry. First one is unbalanced development between business and culture. This problem is embodied on conceptual aspect. Secondly, management confusion, this is a problem belonging to government system. Thirdly, creative industry is lacking of policy to support, such as tax revenues and government grants. Finally, badly lacking in professional designers and mangers. I would like to add some thought from personal view. The first problem of Ningbo creative clusters is that the position of these creative industry parks is unclear. Most of them share exactly the same function and don’t appear unique character. Every district governments in Ningbo seem to compete with each other. For example, The Third Faison Industry Design Block, Industry Design Street etc have the same functions which are focusing on industry design sector. 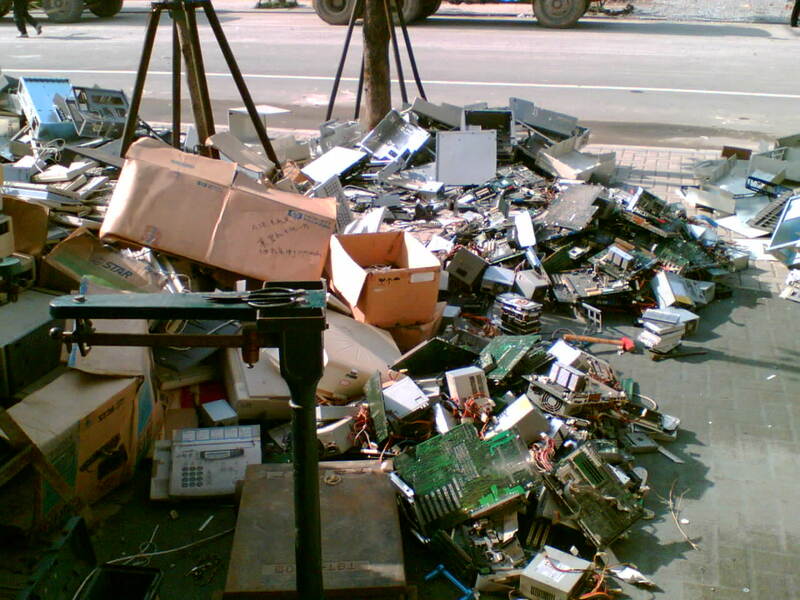 It is not only causes waste of resources also cut-throat competition due to so many companies at the same level. And the other problem is that most of existing creative cluster are still in primary stage in Ningbo. Nevertheless, constructing those creative industry parks is just a consciousness. Those creative clusters are short of product chain, industry chain and financing chain. For example, Letu Pottery Studio in Loft 8.Although is the earliest company move into Loft 8, they carry out their first public activity until this year. Sassen(2001) presents that, the development perspectives of one city and its international prestige determines the national’s power and development space around the world. In the other words, city images could decide the fate of one nation. So that, Ningbo should consider seriously instead of competing with other to develop it own creative industry cluster. Soft power and economy are important function in the process. In conclusion, Ningbo’s creative cluster shares the same characteristic as the other industry clusters have. However, creative cluster depends on talent factor largely as well as the demand of social capital. Historically, Ningbo is a city with long history in culture. Nowadays, Ningbo is a harbour city international port and well-developed on manufacturing industry. However, these characters and advantages not perform very well in creative industry sector. Therefore, they also restrict further urban development in Ningbo. The positive thing is that, the geography of creative cluster in Ningbo has revealed the general rule. 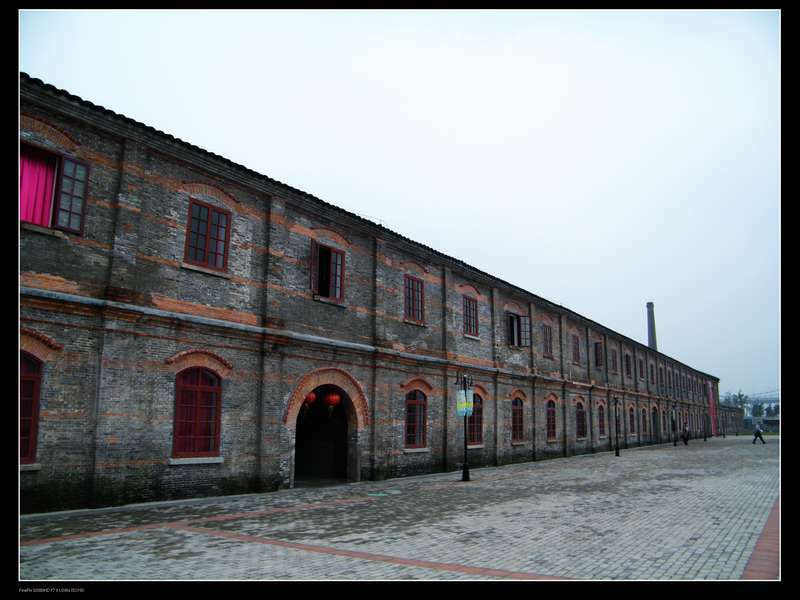 Old factories, old storehouses are located in the old districts, such as Jiangdong district and Haishu district. In addition, High Technology Creative Park is near the university circle due to the resources from these universities. Completely new creative industry parks be located in new district. In this essay, firstly, the environment, culture and government policy in Ningbo were presented. Then, the talent factor was highlighted in Ningbo creative industry. Ningbo government has noticed this problem and tried to corporate with some companies and build some related education system of service for Ningbo’s creative industry. It could be proved that, city’s character should take into consideration and this also determines the city to choose which kind of creative industry. Meanwhile, the function of creative cluster is determined by creative industry of this city. At the end of article, some weakness and thoughts of Ningbo creative industry has been brought forward. It is clear that, Ningbo need to pay huge attention to policy, talent and planning to develop creative industry. Futhermore, the most important thing is that gives up the competition but for do research carefully and use its advantage completely. Che, Xiao Fang 2009. Interview, 20 May. Florida, R 2008, Who’s Your City? How the Creative Economy Is Making Where You Live the Most Important Decision of Your Life, Random House of Canada, Canada. Lorenzen,M&Frederiksen,L2007,‘Why do cultural industries cluster? Localization ,urbanization, products and projects.’,in Cooke,H& Lazzeretti,L (eds), Creative cities, cultural clusters and local economic development, Edward Elgar Publishing,UK,pp.155-179. Maskell, P 2001, Towards a Knowledge-Based Theory of the Geographical Cluster, Industrial and Corporate Change 10(4), pp. 921-943. Sassen,S 2001 ,The global city, Princeton University Press,USA. Scott, A 2000, The cultural economy of cities, SAGE,London. Van Heur, Bas 2009 ‘The Clustering of Creative Networks: Between Myth and Reality’, Urban Studies 46.9. Yan,Hongfeng 2009,Culture industry in Ningbo Retrieved 18 May, 2009, from http://www.gmw.cn/01gmrb/2009-03/30/content_903173.htm. 严红枫 2009, 宁波：文化产业逆势上扬呈新亮点,来源于2009年5月http://www.gmw.cn/01gmrb/2009-03/30/content_903173.htm. Yao, Pu 2009. Interview, 6 March. According to Consumption Daily (2008), the Ningbo government has planned to construct at least 8 creative industry parks around the Ningbo city, almost each district will have at least one creative industry park. It is important to point out that the Ningbo city has six districts including Yinzhou District,Haishu District,Jiangdong District,Jiangbei District,Beilun District and Zhenhai District. At present, most of creative industry park were completed. Yinzhou District will have the 128 Creative Park. Nowadays the first stage construction of 128 Creative Park had been finished and 27 enterprises were moved into this Creative Park. Accoding to Wang(2009),he is the deputy district mayor in Yinzhou District. He indicated that the 128 Creative Park will be a base for creative industry, industrial design and technology incubator. Haishu District has the Loft 8 in which our group has already been there. Here is the Official website for Loft 8. According to Lou(2008), he is the assistant manager for Loft 8 Project. He said that Ningbo is lack of general idea of creative industry. Therefore they decide to form an investigation group and go to the Beijing and Shanghai city to learn knowledge about creative industry. He also emphasised that 798 in Beijing was their reference sample and gave them lots of experiences. There are more than 14 enterprises in the Loft 8, they refer to industry design, creative planning and fairs and exhibitions area. 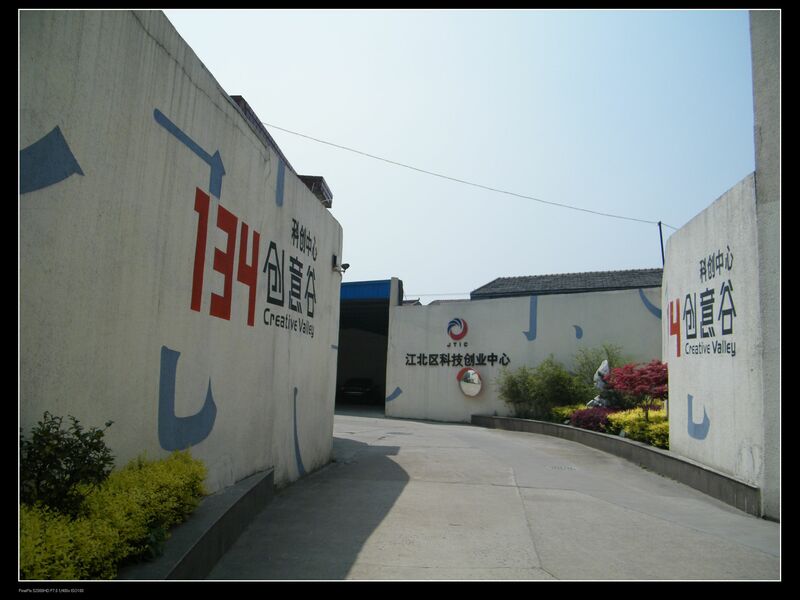 Jiangdong District has the most creative industry park in Ningbo. 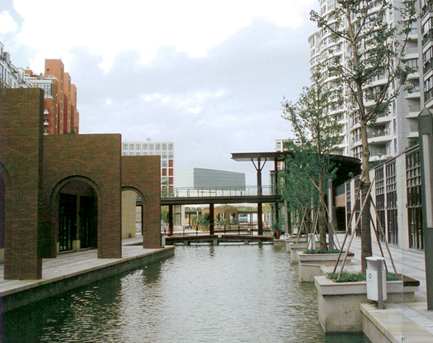 For example, Jiangdong District has the earliest Ningbo creative industry park 228 Creative Industry Park. 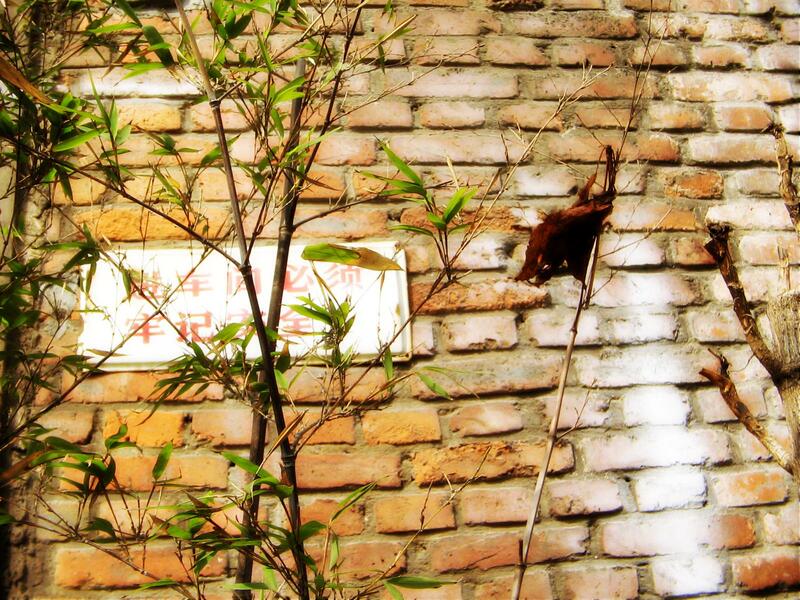 It used to the Tianyi Toy Factory. Some staff in this 228 Creative Industry Park mentioned that the most important thing they would like to be here is the atmosphere. Persons of the same profession can talk with each other freely. And anther place is The Third Factory Fashion Block. 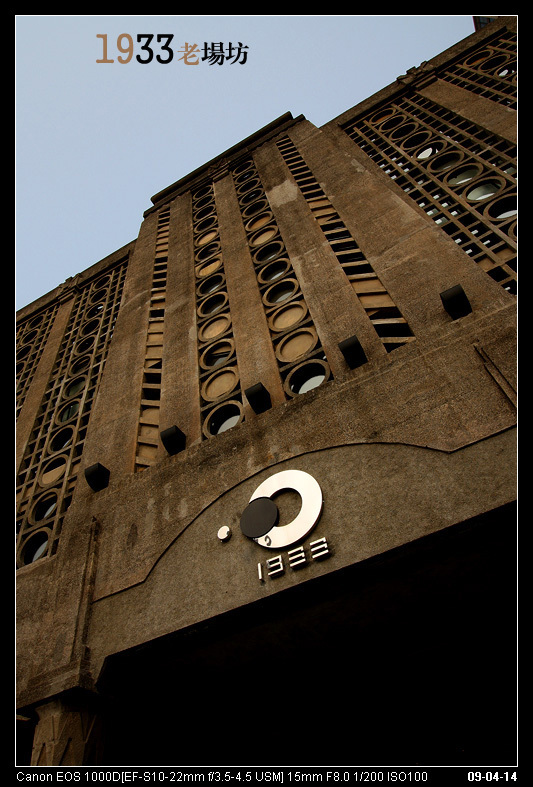 This is also the first creative industry loft project in Ningbo. The last creative park in this district is Ningbo Industry Design and Creative Block. It is a major project in Ningbo urban planning. 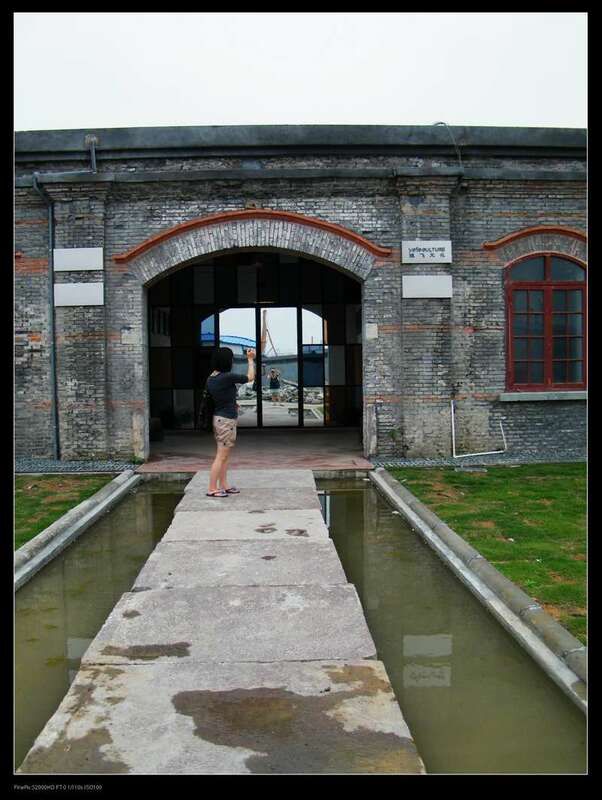 Jiangbei District rely to the old bund, it had established 1847 Bund for their creative industry project. According to the news from government information website in April of 2009, one of the firms in the 1847 Bund is named Gaode Design Studio and the sales volume of this studio from January to October in 2008 even still increased 20% during the economic crisis. The second creative park in this district is 134 Creative Valley, which we had been on last week by haphazard. This valley already attracted 47 firms. From some reference I found that this place had achieved output value nearly RMB 20 million in 2008,and the rate for efficiently use the idle assets reach to 90%.In addition, recently the most famous one in this district is The Wealth and Creative Harbour. It is the place integrates the culture from water, the culture from creative industry and the leisure culture. This place even plans a exhibition to introduce the creative industry in Ningbo. For Beilun District, it has a famous Beilun Port. Accoding to Ningbo News, Beilun District have a Hailun Piano Factory, as a result, government of Beilun District decided to develop piano cluster in this district. Software industry is the centre industry in Zhenhai District, and the district has Innovation Valley .Zhenhai District depends on college resource to develop their unique creative industry. As we know, the science Park of Ningbo University is located in Zhenhai District. According to Ningbo government’s work report, the first-stage construction of Innovation Valley includes three sectors. They are Science Tour, East China Software Outsourcing Service Base and Innovation Valley Research and Development Building. The Second Phase Project consists of Software Department in Peking University Ningbo Branch Northern Europe Industry Park etc. Until now, some international enterprises have entered into this park, such as Det Norske Veritas and IQSS etc. Accoding to government analyse report from Zhenhai District government website, it is illustrate that the cluster effect were revealed obviously in 2008.Innovation Valley had achieved output value about RMB 14.17 billion because of the cluster management. Che(2008), who is the President of Ningbo Creative Industry Association, pointed out that People in Ningbo need to utilize for the well-developed private economy and private enterprises. On the one hand, Private enterprises are big market customers for the creative industry, and on the other hand, they also can be the main body of the creative industry. Lou(2008), who is the staff from Jiangdong District State Statistics Bureau, explained two development models in Ningbo creative industry. The first model is that the enterprises invest creative industry themselves. The other one is that although some enterprises are not related to the creative industry, they explored this field during the business process, such as Oulin Kitchen Company. They corporate with China Academy of Art for designing a music kichen, it is import music element in this design and attracted lots of consumers in 2006 Housing Exibition. The catchword frequently used for describing Ningbo creative industry is that, “let the made in Ningbo into create in Ningbo. One more thing about how to develop the Ningbo creative industry, Lin(2008),he is the director of Brand Operation in Ningbo Beyong Company. This company is a pioneer for textile industry in China. He stated that, Ningbo as a second tier city, it must be find out a appropriate approach or direction to develop their creative industry, and it will be more practical. For Ningbo, such as electron, clothing, stationery, and light industrial product etc are the characteristic industry; therefore, creative industry will tend to industry design, fashion design and advertising industry. Because the characteristic industry and creative industry mentioned above could perfectly merged. Ningbo Economy edits 2008, ‘Creative industry:Ningbo start- up’,Journal of Ningbo Economy,2008,no.2,pp 17-19. Chen,Kuohai 2007, ‘The research proposal of Ningbo industry design and creative block.’,Journal of Association for Science Forum,2007,no,4,pp42-44. Wang,Jici 2004, ‘The suggestion of the research on local indwtrial cluster’,Journal of Economic Survey,2004,no.2,pp 53-57.